Military Service, Socioeconomic Circumstances and Later Life Resilience. Research has documented both the positive and negative consequences of military service on the lives of veterans. This project utilizes Project Talent’s large number of military veterans to examine the impact of different types of military service on the later-life health, economic, and family outcomes of veterans who were socioeconomically disadvantaged in their youth. 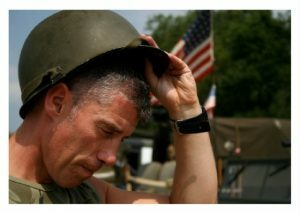 The study tests the hypotheses that early entry into the military can provide a bridge for socioeconomically disadvantaged youth, enabling them to achieve better economic, health, and family outcomes than their non-veteran peers and that, conversely, certain types of military service can erode the advantages of military servicemen and women from more socioeconomically secure backgrounds. The study also examines the impact of military service on spouses.